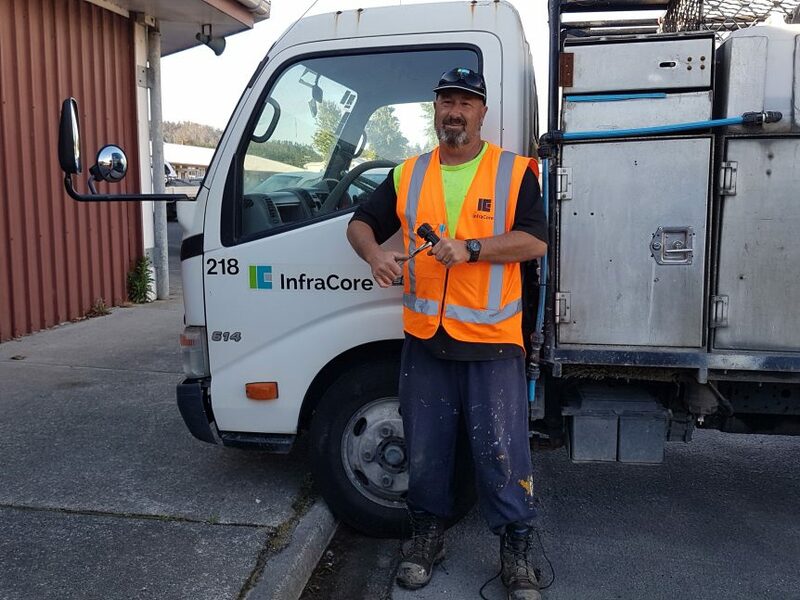 “I love everything about it,” says Rotorua pipeline worker Craig Hart about his chosen career. And now his skills and knowledge have been formally recognised with his completion of the official Pipeline Construction & Maintenance in Water certification. Prior to 2015, workers in Civil Infrastructure have had no industry-wide, standardised, transferrable trade qualification, despite it being one of the largest industries in New Zealand, encompassing 600 businesses and with an annual turnover of $20 billion. Craig completed the new certification through the Recognition of Current Competence (RCC) process, which recognises the previous experience of workers and requires them to present evidence of that experience to be evaluated and recommended for certification to the Civil Trades Board. Craig recommends gaining the certification to anyone in the industry. “There’s a really good amount of satisfaction that comes from doing, and there’s other benefits like job security. He says his experience means he’s often the person others come to for advice on the job and his newly minted qualification lends weight to that informal role he plays. Craig heard about the certification process from his employers at Infracore, and says he had a lot of support from them as well as his Connexis ITO Customer Service Account Manager, Sue Hawkins, which helped him complete the certification in just six months, instead of the average 18 months.